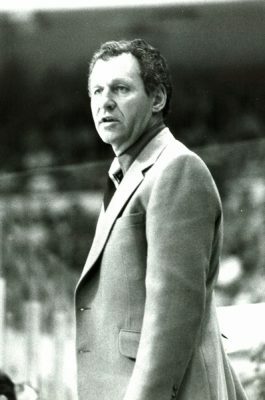 Fred, was a minor league defenseman for 11 years and then coached professional hockey for 19 seasons including six in the NHL. He coached Atlanta Flames for five years and one more with Boston. He also coached Charlotte Checkers of the EHL, Omaha Knights and Indianapolis Checkers of the CHL and Springfield Indians of the American League. Creighton coached 1,311 games and had 713 wins giving him winning percentage well above .500. He then retired to operate a string of nine Little Caesar's pizza places in Sacramento.